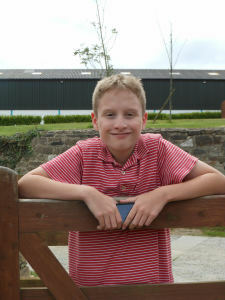 Today we have a great guest post for you from twelve-year-old William. William is the talented and creative author of not one but two blogs. His main blog about daily life is here and he’s recently started another review blog called WishList Reviews. Go check them out and leave him a comment! Blogging is an interesting thing; there are many ways to do it and many things to write about. These are my five tips on how to be a good blogger. Get opinions – Tell your friends and family about your blog and ask them for opinions, do they like your posts? Do they like your content? Do they like the title? All these questions can be asked and you can then find out an honest opinion that can be used to change your blog for the better. Blog about something you know about and like – Some people only blog about the things that everyone else is blogging about to try and get more views. While these things may be popular you will enjoy blogging a lot more if you’re writing about what you like because then you can write more detailed blog posts and have fun at the same time. Try and find a certain style of blogging that you could write to make your website more unique – For instance you could do reviews on movies and books, or you could do tutorials on how to do things like DIY or makeup. Have a schedule – It helps to have a schedule for when you post on your blog, you might do one daily or every month. Make a schedule that suits you, if you want to blog every day, blog every day, if you can’t do that much then blog every week. It’s up to you. Keeps it interesting – When you’re blogging it can be easy to slip into the trap writing everything in a boring way. For instance If I were writing a review of a movie “I found this interesting, It was very good and I enjoyed it”. This is rather boring and instead you could write “I found this movie very interesting. It is an extremely enjoyable movie and is produced to a good standard”. This is much more enjoyable to read and engages your readers more.